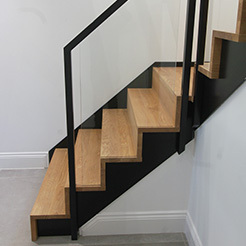 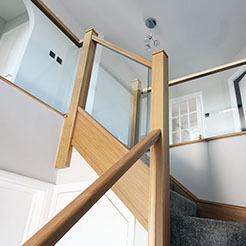 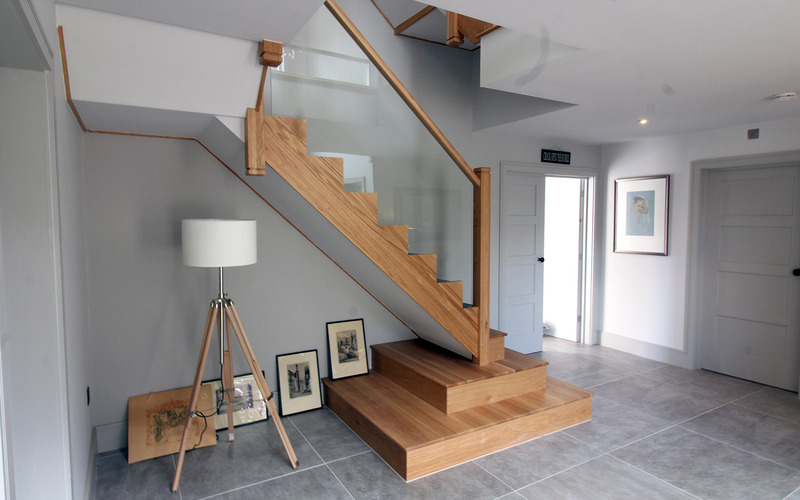 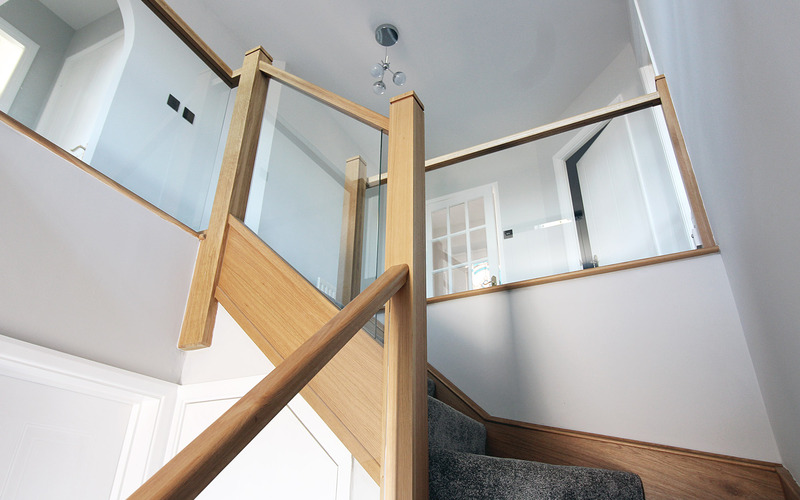 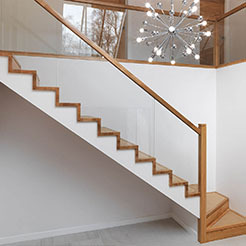 Closed staircases are available in so many different styles to suit your home - choose from our metal, timber or glass staircases and customise the details to suit your interior styling. 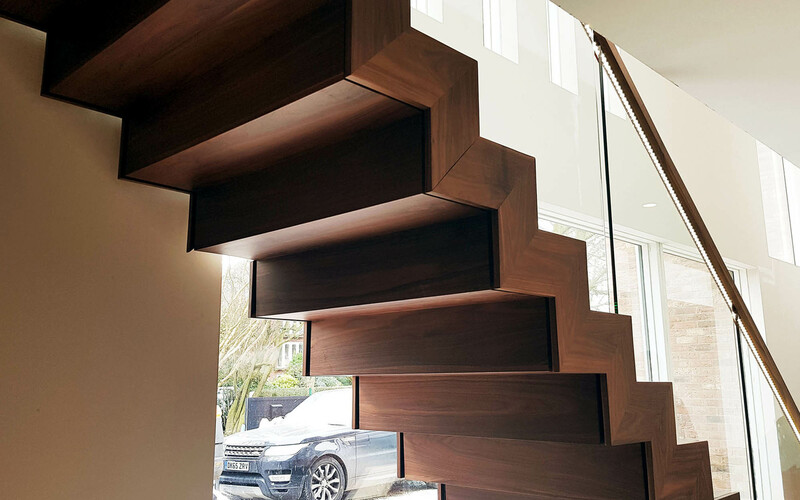 Details in design are everything. 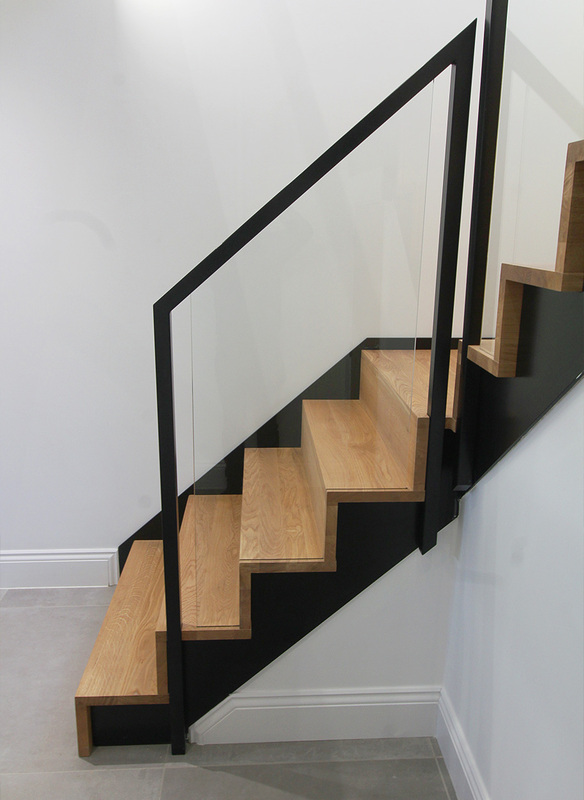 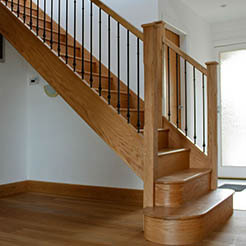 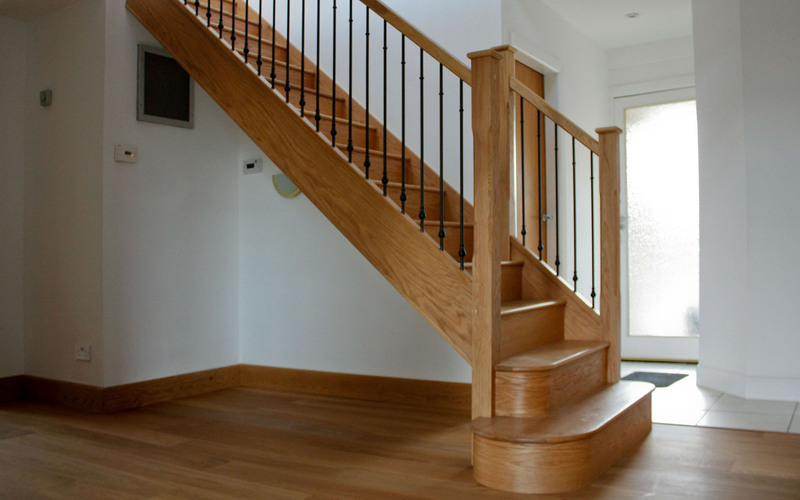 By far the most popular of our ranges, this staircase design truly represents a traditional staircase construction. 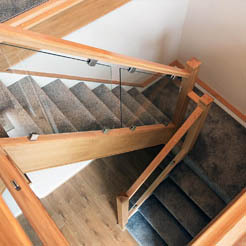 As the name suggests, the Close model incorporates closed treads as the featured element, helping create a warm and safe feel to the whole staircase. 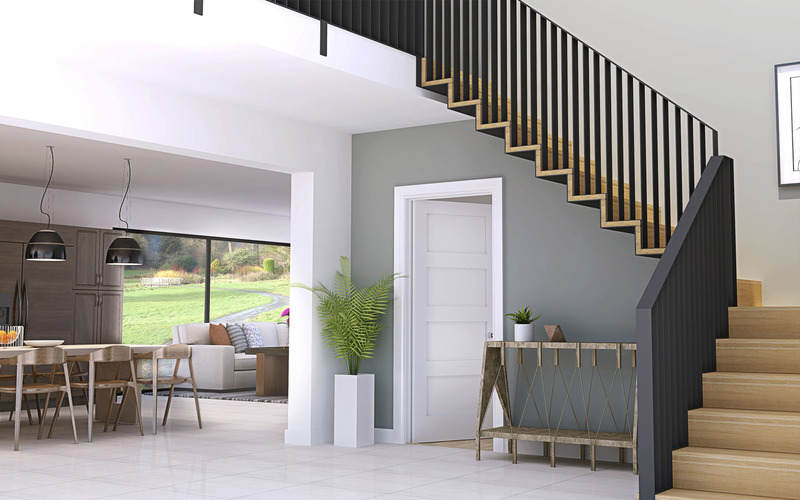 This design allows for great freedom of choice when it comes to materials, styles and finishes - providing the perfect styling for your interior. 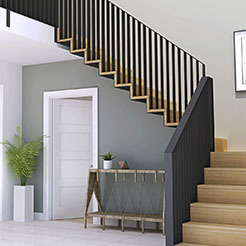 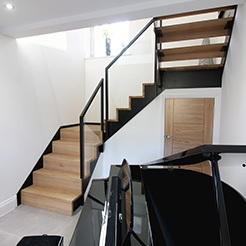 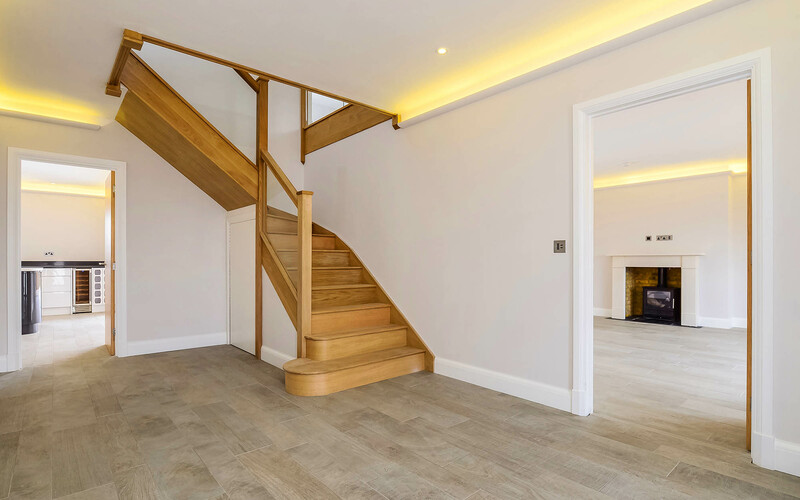 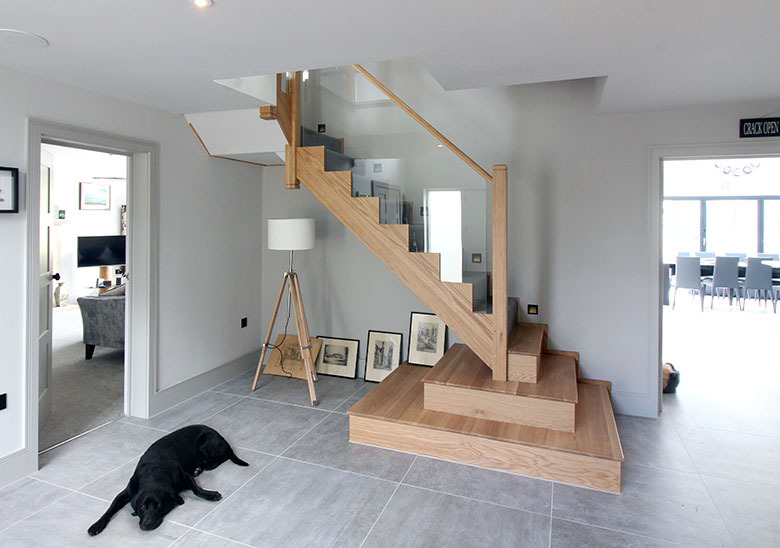 Choose from over 15 closed plan staircase designs or convert an existing open plan staircase to closed plan with our staircase renovation service. 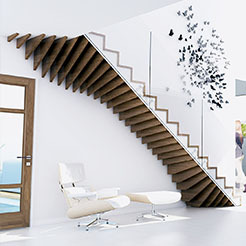 "A timeless feature on any staircase. 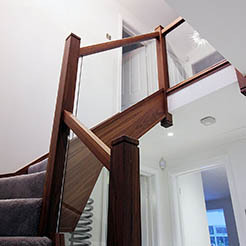 We vary the method to create this feature depending on the style of the staircase and the requirements of the customer. 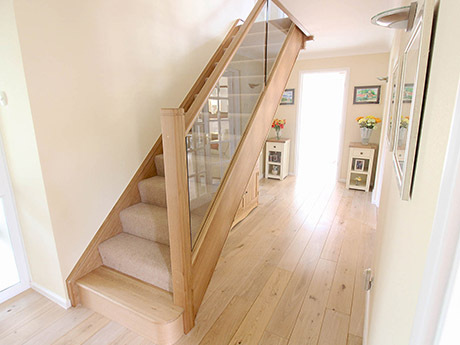 Carpetting, runners or anti slip features are all individual designs. 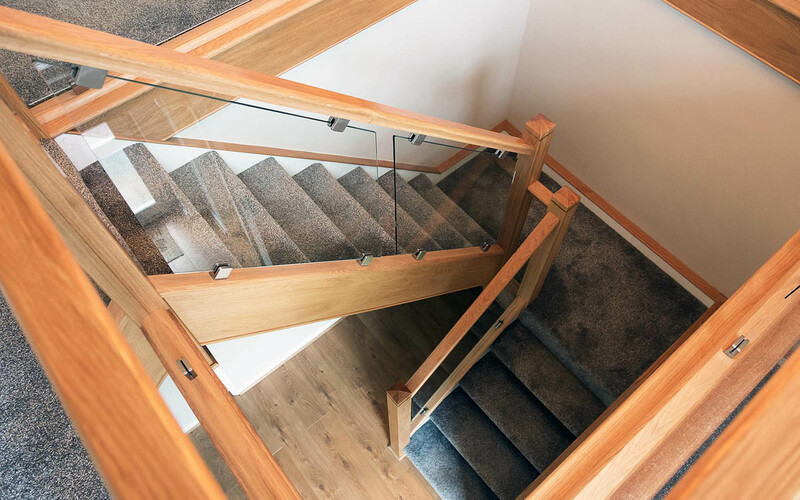 I love exposed timber treads keeping the design crisp with clean lines integrating the tread nosing and riser creating a minimal aesthetic. 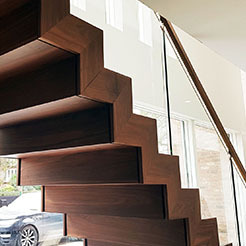 It’s often the smaller details that matter the most. 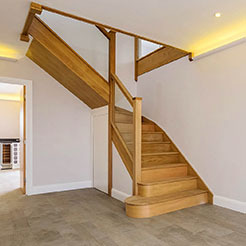 Mr and Mrs Stokes from Stamford, Lincolnshire built a stunning timber framed home after demolishing the existing property. 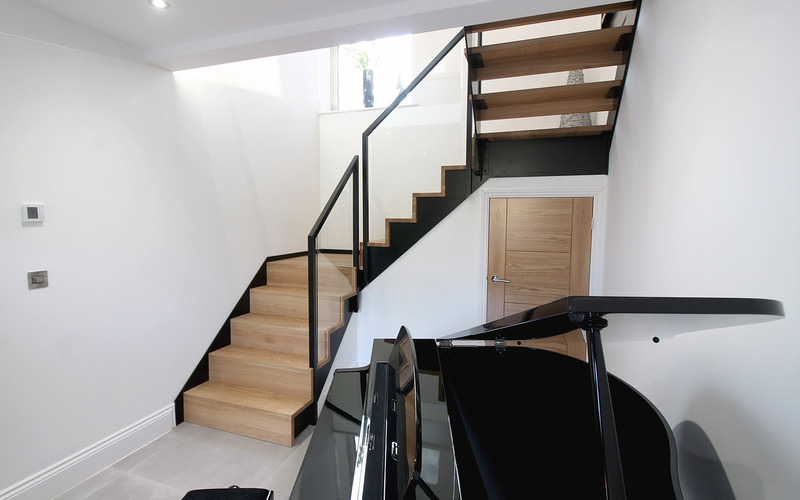 This three storey home required two staircases feature staircases at the heart of the home. 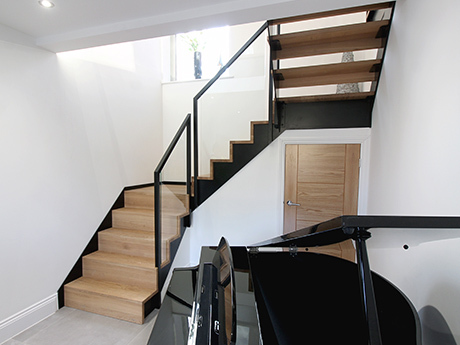 The architect originally planned for the staircases to be identical, thus defining the layout of the downstairs entrance hallway. 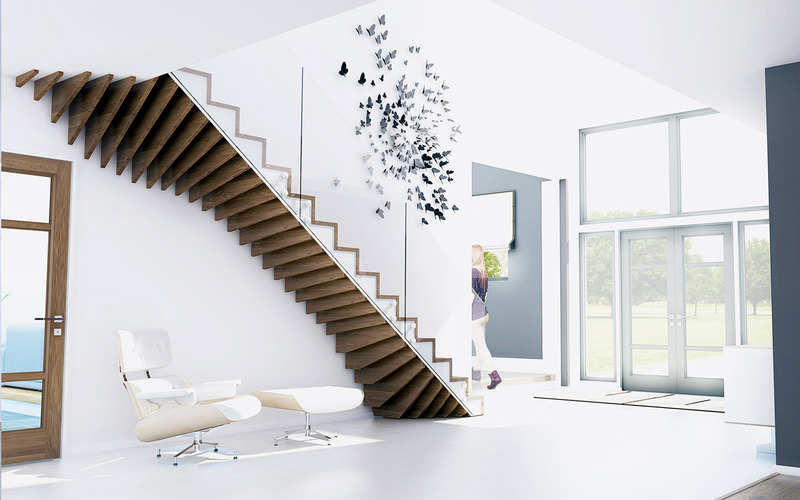 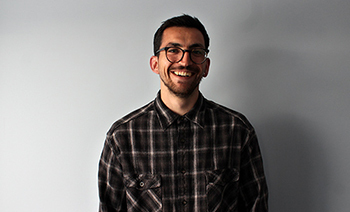 This seemed a little too boring for our design team and we decided to switch things up. 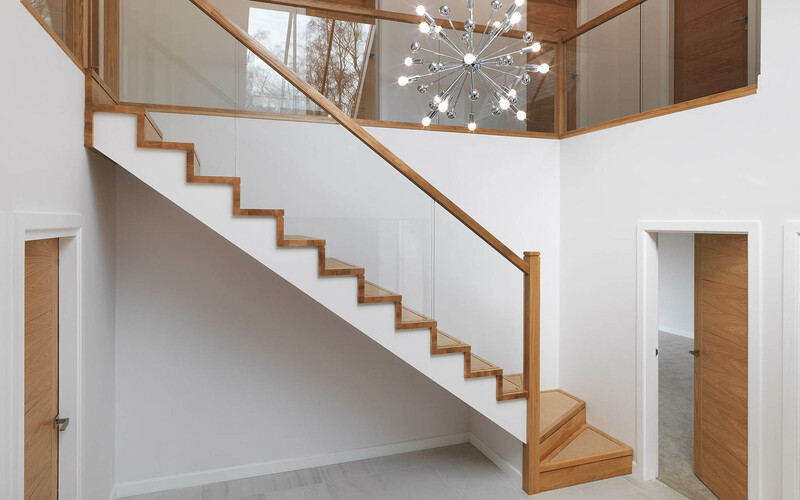 By changing certain door directions and movement of one wall (prior to being built), we designed a breathtaking opening feature to the staircase like none other. 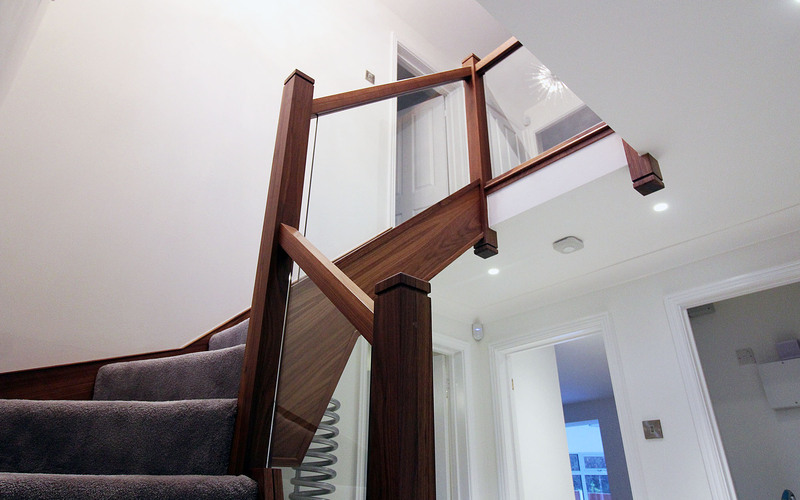 This is why we insist on being involved in projecs at the earliest stage possible. 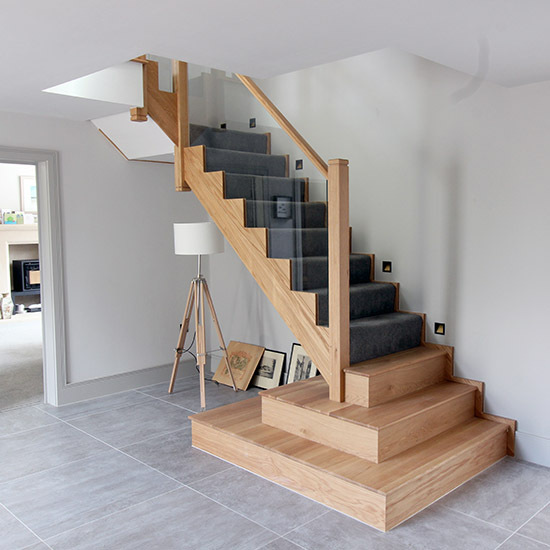 By allowing the first three steps to be oversized to act like shelving units, the staircase can be dressed as a true centrepiece of the home. 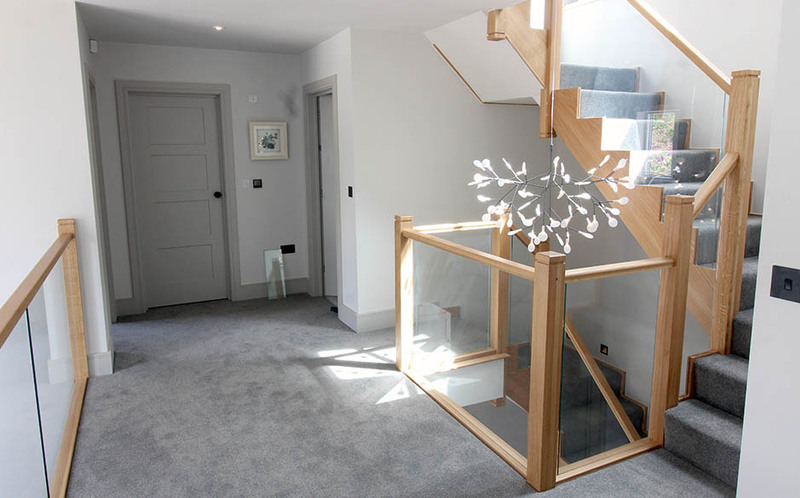 From here the staircase switches to the comfort of carpet due to children in the home. 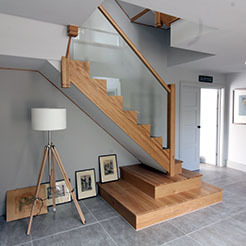 The contemporary cut oak staircase is a First Step Designs original and we are looking forward to offering this bespoke solution to another client in the future.